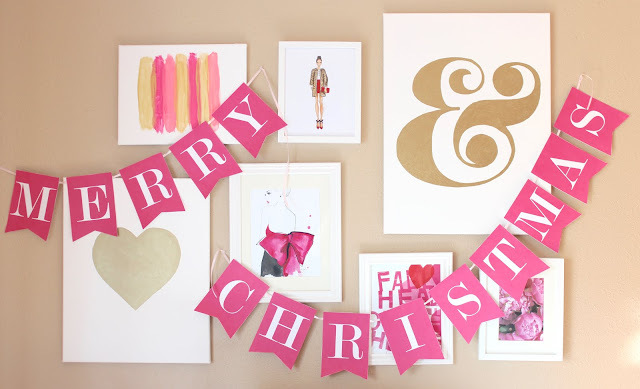 It's the most wonderful time of the year and I'd like to share a printable Christmas banner with you! Click on the banners below to download the banner in that color. Print the banners on white card stock, trim, and string up! Each letter is 5x7 inches. Share a photo of your banner with #jessicamariedesign on Instagram! P.S. Join my mailing list to receive exclusive free downloads and discounts to my shop! Copyright Jessica Marie Design 2012. Powered by Blogger.